How secure is your electronic signature? If you've ever rented a car, bought furniture or even dealt with medical forms online, you've probably signed your name electronically. But how secure is that? TODAY’S TMJ4 spoke with a cyber expert and learned how to best protect your John Hancock. 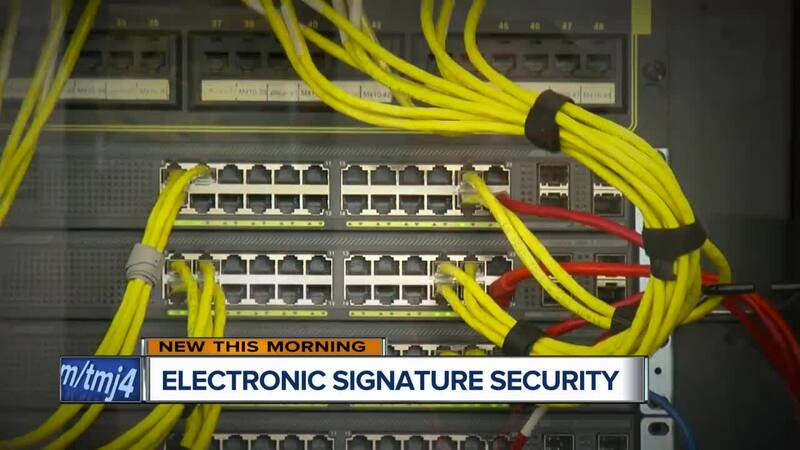 “The biggest threat of using an e-signature is people not understanding what they are actually using,” said Joseph Martinez, an information systems security professor at Milwaukee Area Technical College. Martinez said forgeries and malware are two threats consumers need to know about. “People can actually steal your e-signature and actually forge it for other contract signings or purchases,” Martinez said. “People will keep copies of their e-signature on their smartphone or their laptop and still have that device get infested by malware or spyware, so now their e-signature and the key associated with it is now out there in the wild or in the wind for anybody to use." Another threat? Bad actors changing a business contract without you knowing. “Since you have no valid tool to verify that signature, you're going to get stuck with the changes to that contract,” Martinez said. Martinez recommends electronic signatures by Adobe and Approve Me . Consumers should have the opportunity to read an agreement before they sign it and ensure they understand what they’re agreeing to. Pressure to sign quickly without actually reading a contract is a red flag. If a salesperson does this, the consumer should consider walking away and taking their business elsewhere. The seller should always provide a copy of the contract the consumer has signed for their records. If the consumer doesn’t get a copy, it’s harder to be sure the seller is keeping to the terms of the agreement.